Designed to deliver high-performance computing and maximum flexibility, the UNO-2484G is a highly ruggedized next-generation fanless box PC equipped with the latest Intel® Core™ i7/i5/i3 processor and 8 GB of DDR4 memory. The UNO-2482G includes 4 x GbE, 4 x USB 3.0, 4 x RS-232/422/485, 1 x HDMI, and 1 x DisplayPort (4K), as well as an optional second stack expansion kit that supports the integration of Advantech’s iDoor technology for adding flexible functionality according to specific application requirements via simple board-to-board connections. 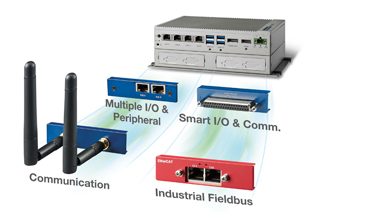 Featuring up to 5 x iDoor expansion slots, the UNO-2484G can be easily equipped with additional functionality, such as wireless communication and industrial fieldbus support, as well as general I/Os for various applications. 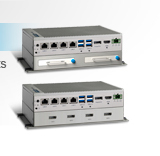 The UNO-2484G can be rapidly customized and configured according to usage requirements. 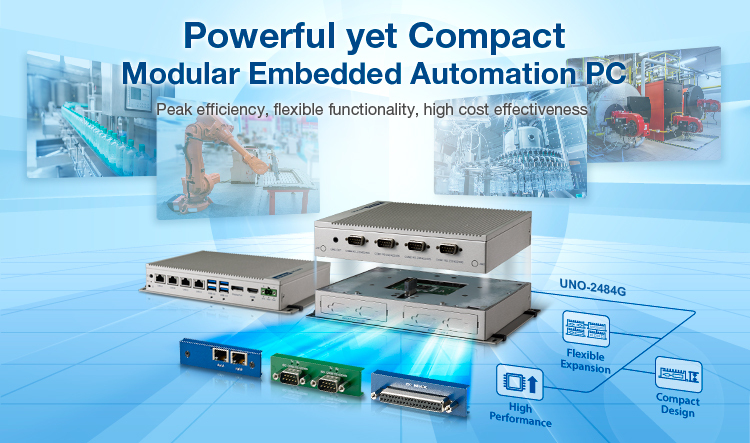 With the inclusion of rich I/O, the platform’s high customizability not only offers maximum flexibility for a wide range of industrial applications, but also reduces product development time and time-to-market.